We are pleased to announce that we have acquired the tooling and machinery to produce the Model Engineering Works line of parts. Many of the parts previously unavailable from other sources will now be available again. It will be some time before we actually go into production as there are several hundred punches, dies, forms and molds to inventory, clean and repair. But hopefully we will have some of these long out of production parts available again soon. We are beginning to reproduce some Elektoy parts. First will be couplers. More info on the Elektoy page. Another run of 2 7/8 Inch Gauge Wooden Gondolas is complete and almost all sold out. More info on the 2 7/8 Inch Gauge page. We have just completed a small run of Carlisle & Finch No. 9 Passenger Stations. More info can be found on the Carlisle & Finch Accessories page. Please check out Classic Toy Trains Magazine. Starting with the July 2011 issue I will be answering the the questions in the Q & A Column. We’ve just run a small batch of reproduction IVES #338 Tell Tale Poles. See them on the Standard Gauge Accessories Page. We have just completed a run of reproduction IVES # 87 Flag Poles. Check them out here on the Standard Gauge Accessories Page. We were recently profiled in an article in the Tinplate Times e-magazine. The article can be found at Tinplate Times. Tooling for the Carlisle & Finch Trolley Poles is complete and the first production run is finished. More information can be found at the Carlisle & Finch Accessories page. JLM Trains has acquired the tooling and equipment to produce restoration rubber stamps from Jerry Butler Rubber Stamps. Check out the Rubber Stamp pages. Tooling for the #350 Bumper is complete and a small run has been made. The first run on Carlisle & Finch Fixed Bucket Coal Cars is complete. We have produced a couple of Harmony Creamery Boxcars for the TCA 50 Anniversary. See them at the Custom Shop page. The Carlisle & Finch Brass Bridge is ready. Check it out at the Carlisle & Finch Accessories page. Converse Trolleys are done. Check them out at the Converse Trolley page. Here we go again! Looks like I’ve gotten talked into reproducing some Carlisle & Finch. The Mining Locomotive and Ore Cars will be first. Tooling for the motor is underway as are the wheel patterns. Trolleys will most likely follow, then a Locomotive and Freight Cars. We are just in the beginning stages so keep checking on the progress on the Carlisle & Finch page. We are currently working with Period Toys, providing them with accurate parts to be framed with their artwork of Lionel products. Looks like we’ll be offering a few reproductions of the Hudson And Manhattan Tube Train. We have just added full versions of Iron Ponies and Railroad Story of the 1949 Lionel Showroom Layout. We will be adding more soon. Keep checking back. Tooling is underway for the No. 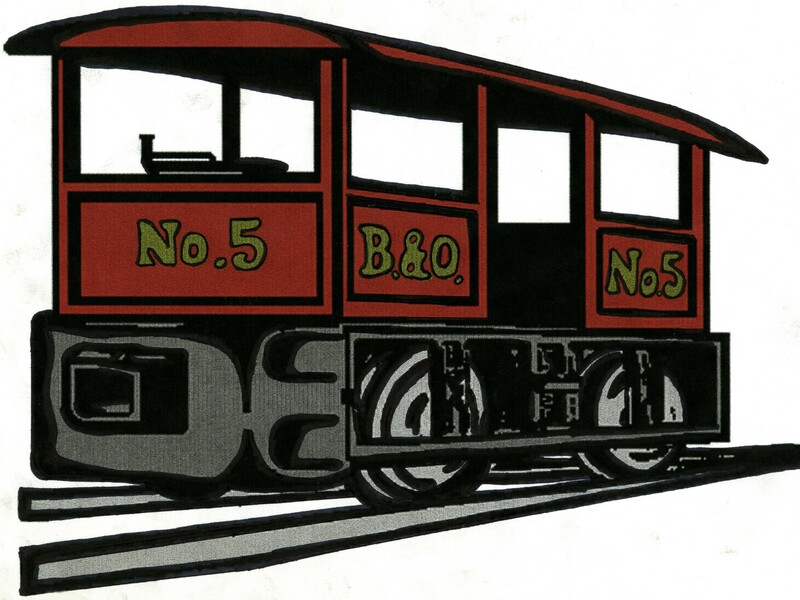 16 Ballast Car in Standard Gauge. We have just added a page describing the methods used in the construction of our trains. There is a video and some descriptions. Plenty more to come on the Old Technology page. We have been getting many requests for a Converse Trolley in 2 7/8 Inch Gauge, so the tooling is underway. Keep checking the Converse Trolley page for updates. We have added an Image Map of the 1949 Lionel Showroom Layout. We have just added a few downloadable VIDEOS to our 2 7/8 Inch Gauge page. Check out our new project in Standard Gauge. A TWIN MOTORED Steam engine. Take a look at the Super 7 Project page. Our tooling for the Standard Gauge No. 7 Steam Engine is finally finished. We are now taking orders. Check it out on the Standard Gauge Page. We have just updated the Links page. Check it out. We are currently in the process of building a re-creation of the 1949 Lionel Showroom Layout. This is going to be a monumental project, but one that we have been wanting to do for a long time now. We will show some photos as the work progresses.